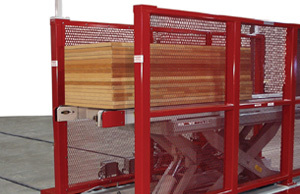 Transfer Cart and Storage Conveyor Systems – Creative Automation, Inc.
Systems by Creative Automation provide efficient transfer and staging of components between panel saws, processing lines and packaging lines. 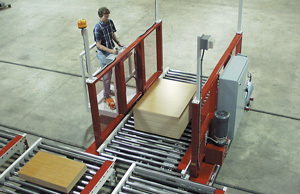 Sophistication can range from manual attended to fully-integrated unattended operation. Unattended transfer cart automatically delivering doors to multiple destinations. 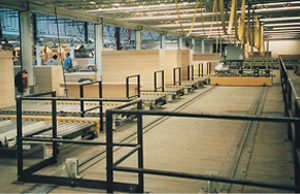 Attended transfer cart transferring kitchen cabinet components to a storage/staging conveyor. Unattended transfer cart with scissors lift delivering doors to multiple destinations.